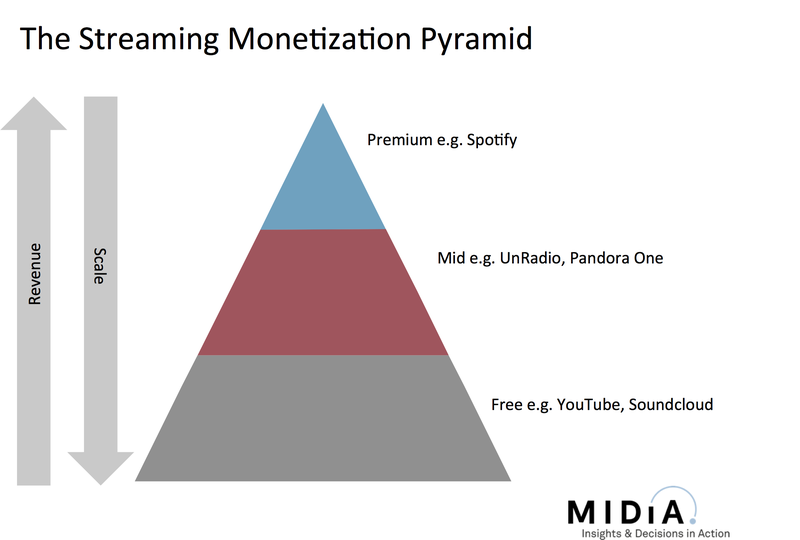 If 2014 was the year of fear, uncertainty and doubt for streaming then 2015 is shaping up to be the year in which streaming starts to deliver. In fact so far streaming has helped drive revenue growth in the first half of 2015 for markets as diverse as Italy, Spain and Japan as well as of course in the streaming Nordic heartlands of Sweden, Denmark and Norway. All this despite an accompanying average decline in download revenue of 7%. But as I have long said, there is only so far that 9.99 AYCE (All You Can Eat) subscriptions can go. This value proposition and price point combination constrains appeal to the aficionados and the upper end of the mainstream. Pricing will be key to unlocking new users (as Spotify’s focus on the $1 a month for 3 months promo shows). 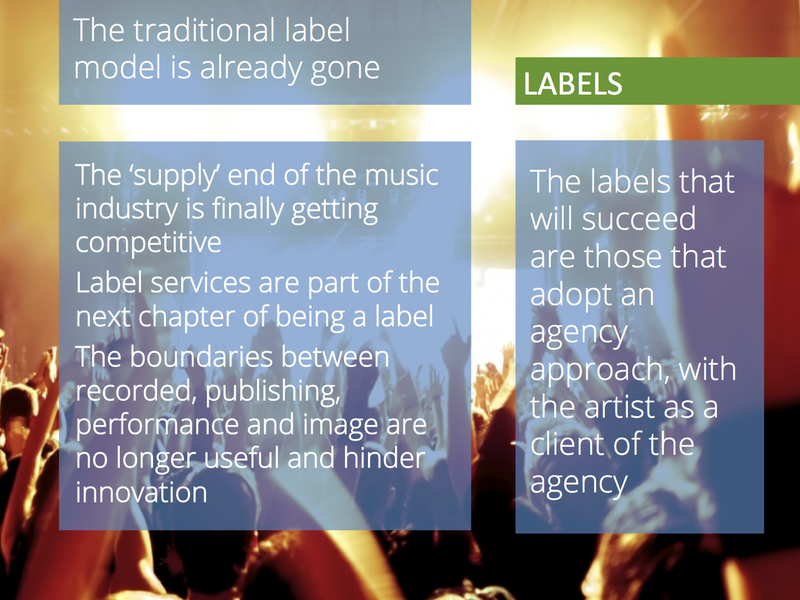 However some highly influential elements within major labels are more resistant to pricing innovation now than they were this time last year. So don’t hold your breath for the long overdue pricing overhaul. The other side of the 9.99 AYCE equation though is just as important, namely choice, or rather, less choice. 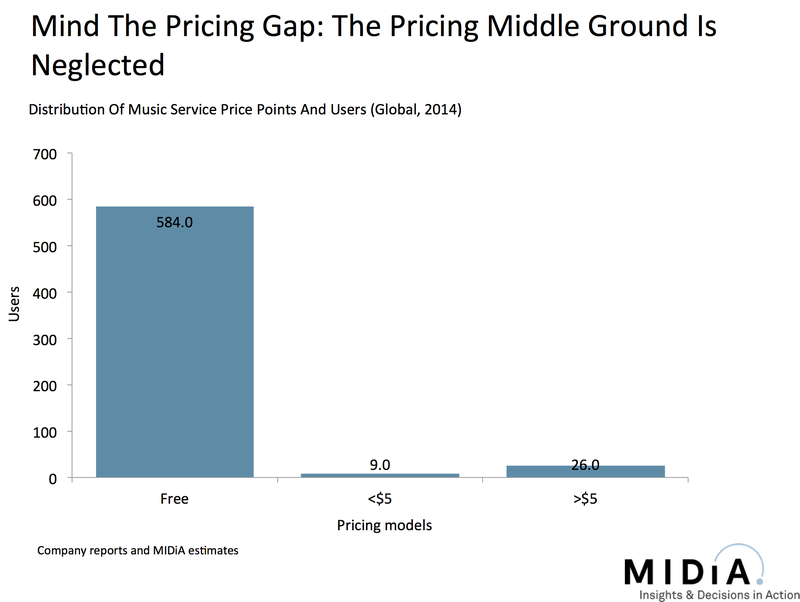 In fact, done right, cut down, niche music offerings should be able to fix the pricing conundrum too. Most people are not interested in all the music in the world and most people are not interested in spending $9.99 (or the local market equivalent) a month for music. All the music in the world is a compelling proposition for super fans, but it is both a daunting prospect and more than is required for casual fans. 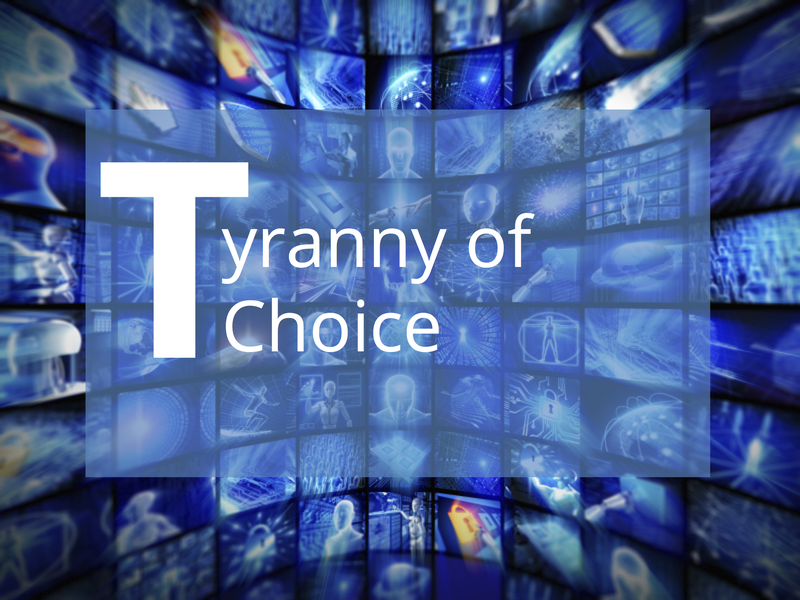 In fact the supposed benefit becomes a problem, the excess of choice begets the Tyranny Of Choice. 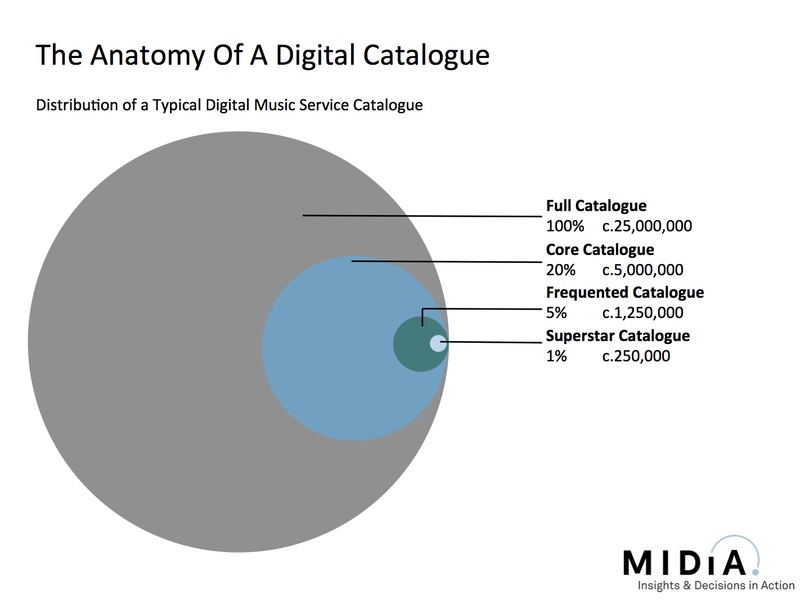 Indeed, just 5% of streaming catalogues is regularly frequented. Most of the rest is irrelevant for most consumers. Most music fans like one or more kinds of music most. While super fans are happy to pay for the ability to get everything, mainstreamers are not. This is exactly the dynamic we are seeing in the video space, with consumers increasingly turning to smaller, cheaper services such as Netflix and Amazon rather than paying through the nose for an excess of cable channels. The TV industry calls these consumers cord cutters (i.e. those that cancelled their TV subscriptions) and cord nevers (i.e. those that never paid for cable). 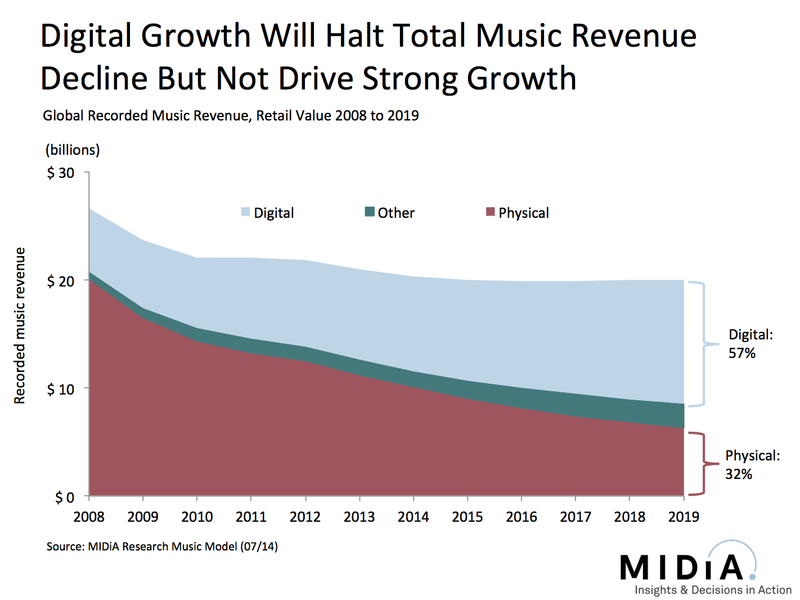 Now the music industry is facing its own cord never challenge: consumers who have never taken up a music subscription and have no intention of doing so. In the past they would have spent some money on downloads, now they’re just watching more music videos YouTube. The music industry quite simply does not have a Netflix for its cord nevers to go to instead of the full priced subscription option. But give those more casual music fans a music app just built around their tastes and for a fraction of the price and the equation changes from zero sum. Imagine genre specific playlist apps for $3 or $4 month. A dozen curated playlists, a handful of featured albums and a couple of radio stations, all just of your favourite style of music and all streamed into a dedicated app. Not only does this proposition deliver clear value, it also gives the industry an opportunity to open up new users that have thus far not been swayed by the broader utility play of AYCE services. 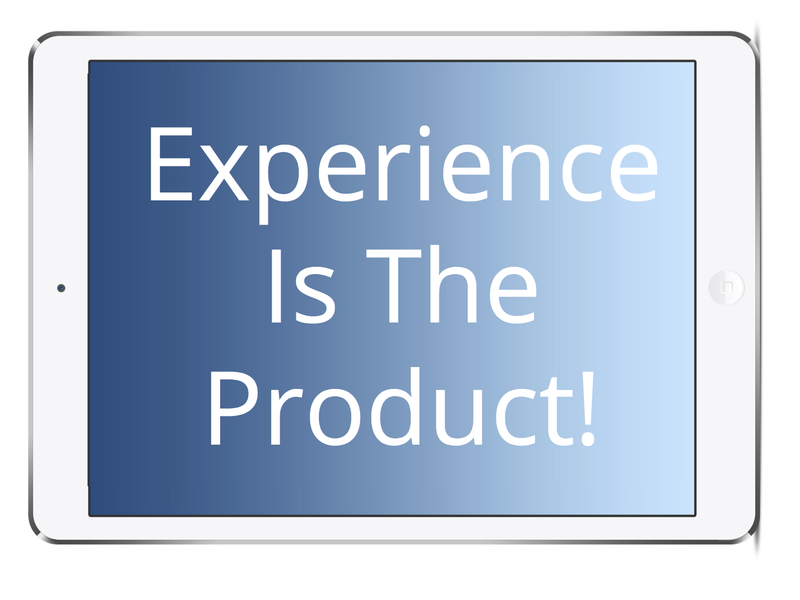 Imagine a Country app, a Classic Rock app, a Hip-Hop app, a Metal app, an EDM app, a Jazz app…. Each of these would create clear appeal within the mainstream elements of genre fan bases. And while there is some risk of cannibalizing $9.99 services, this should be small if they are 100% curated (i.e. no on demand element) because they would be unlikely to appeal to aficionados and the super-mainstream. These niche music apps could be delivered by standalone curated playlist service providers like MusicQubed, white label providers like Medianet and Omnifone, or even by AYCE services like Spotify ‘doing-a-Facebook’ by spinning out standalone apps. Niche services are not however a nice-to-have, an optional extra for the industry. They will be crucial to unlocking the scale end of the subscription market and they will be needed sooner rather than later. Organic subscription growth (i.e. not including the temporary adrenaline shot of Spotify’s limited time price promotions) is not growing fast enough. Apple Music looks set to add a significant amount of new users before year-end but many of those will come at the direct expense of the incumbents. All the while YouTube is leaving everyone else for dust: the amount of net new video streams (i.e. free YouTube views) in H1 2015 was more than double that of net new audio streams. The 9.99 AYCE model still has a lot of life in it yet, but just as the mobile phone market has far more choice than high end devices, so the subscription market desperately needs the diversity that niche services would bring. The subscription pricing debate is gaining momentum with serious dialogue occurring at high levels across the industry. Every consideration though occurs against the backdrop of fear, fear of disrupting the solid start subscriptions have made so far. It is clear that although the 9.99 price point has significant additional market opportunity, that potential has a finite scope. Once the ceiling of adoption has been reached the market will stagnate unless new price points are introduced. One option for reducing risk is to tailor services at discreet segments that are not prospects for 9.99 services. By building highly distinct, curated services that deliver users curated, lean back experiences rather than bewildering them with the Tyranny of Choice of 30 million tracks. 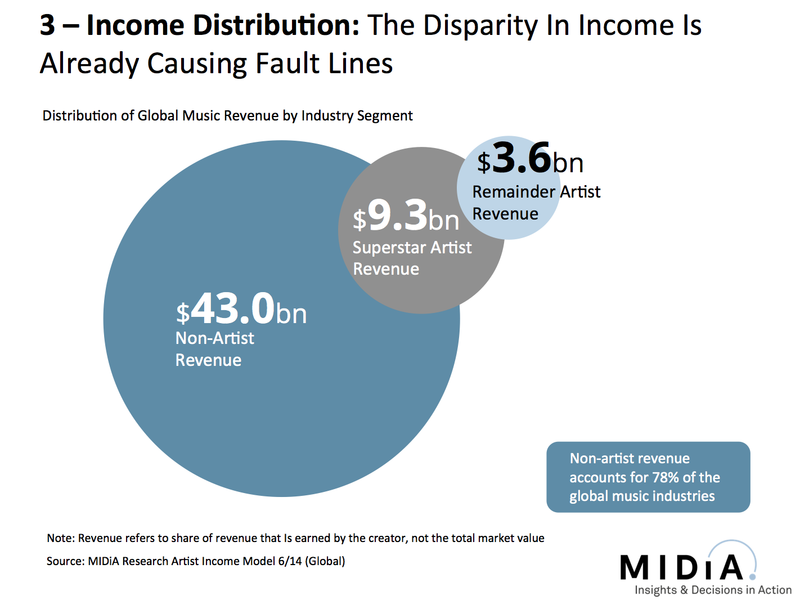 Music Aficionados are the driving force of current digital music, are less than a fifth of all consumers yet are the core target of every 9.99 subscription service. 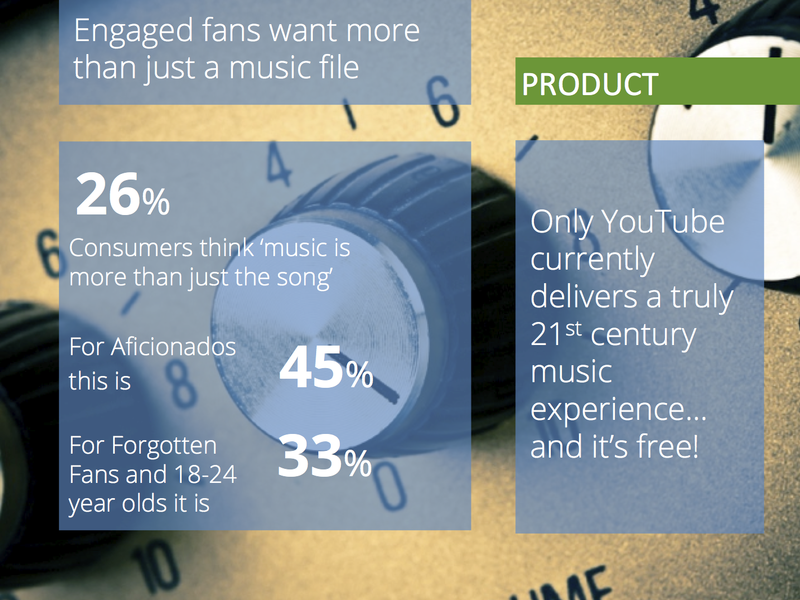 By contrast Forgotten Fans – super engaged music fans who don’t yet spend much money on music – are hugely underserved. 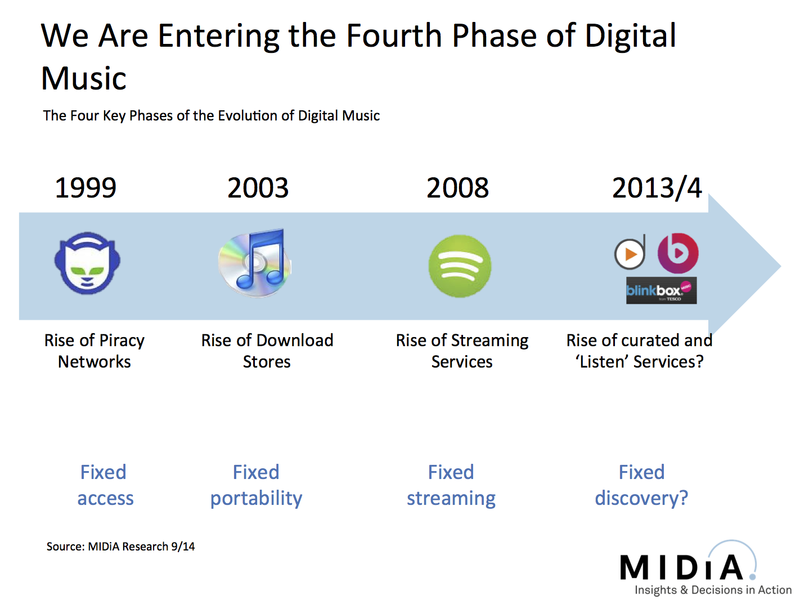 A handful of companies have been trying to unlock this segment, including Blinkbox Music, Mix Radio (formerly Nokia Mix Radio), Bloom.fm (RIP), Psonar (PAYG streams), MusicQubed (O2 Tracks, Vodafone Tracks), Zvook, as well as ‘Pandora One’, ‘Slacker Radio Plus’ and Rhapsody’s ‘unRadio’. Even Spotify is having a go. 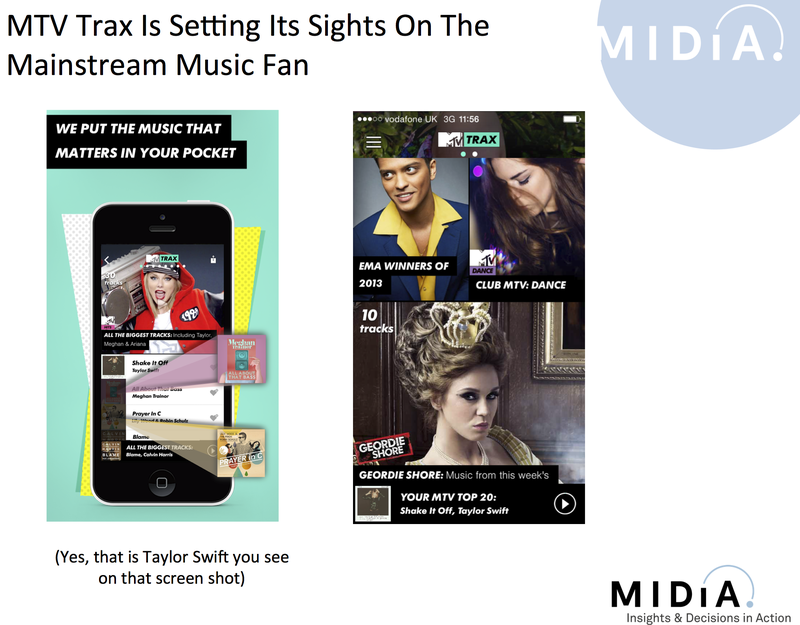 Now MusicQubed have upped the ante in the pursuit of the Forgotten Fan powering a new MTV music service: MTV Trax. MTV is something of a sleeping giant in the digital music space. It is the sort of brand the marketplace has been waiting for. Spotify has done a fantastic job at creating a brand from scratch but outside of digital music circles it has minimal brand recognition. What MTV brings is immediate brand equity, the sort of instant familiarity that can help pull mainstream consumers into the digital fold. Up to now, besides a couple of ill fated early efforts (remember MTV Urge anyone?) MTV has never seriously tried to convert its massive brand and reach. MTV has been biding its time. It is a mainstream brand for the masses so it has been waiting for the market to reach sufficient scale and for the right product for it to enter. MTV knows there is little point in trying to push its youthful, mass market audience towards Aficionado services that they are unlikely to be able to afford or have interest in. There is an additional reason the time is now right for MTV, whether they realise it or not: their business model is stuck firmly in the confines of old, traditional media i.e. Pay TV. Though Pay TV is hardly in crisis, yet, the first cracks are beginning to appear with disruptive Over The Top (OTT) services like Netflix and Amazon Prime and cord cutting. Of most concern for MTV is the new generation of ‘cord never’ consumers that may never take a Pay TV subscription, instead relying solely on the likes of Netlix, Hulu and iPlayer for their video needs. MTV is a youth brand yet ironically its current business model is rooted in an older world – the average age of a network TV viewer is 59. MTV needs a new channel for engaging with the next generation of audiences, and that channel is mobile. MTV Trax looks like it may be the first plank of that strategy. MTV Trax itself is a visually rich mobile only app that delivers 8 curated playlists, branded around genres, charts and MTV shows. An Aficionado would probably find the selection too narrow and mainstream, but that’s entirely point, this isn’t built for them, it’s built for the mainstream. The app is being launched with MTV’s European Music Awards. Now it’s time to sit back and wait to see whether MTV’s brand can unlock the Forgotten Fan and take digital music to the mainstream. 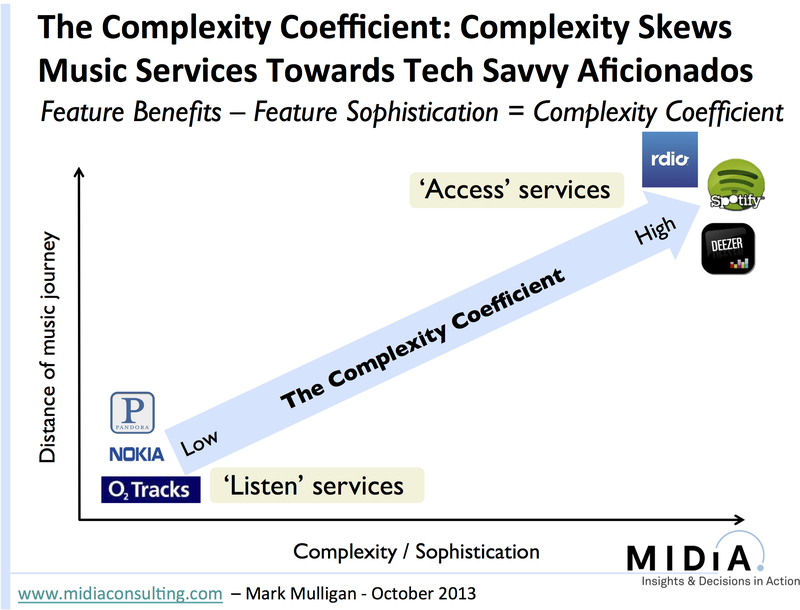 Back in October I wrote about the emergence of a new wave of music services: ‘Listen Services’. Namely music services that sit at the opposite end of the sophistication spectrum to ‘Access Services’ like Spotify and Deezer. 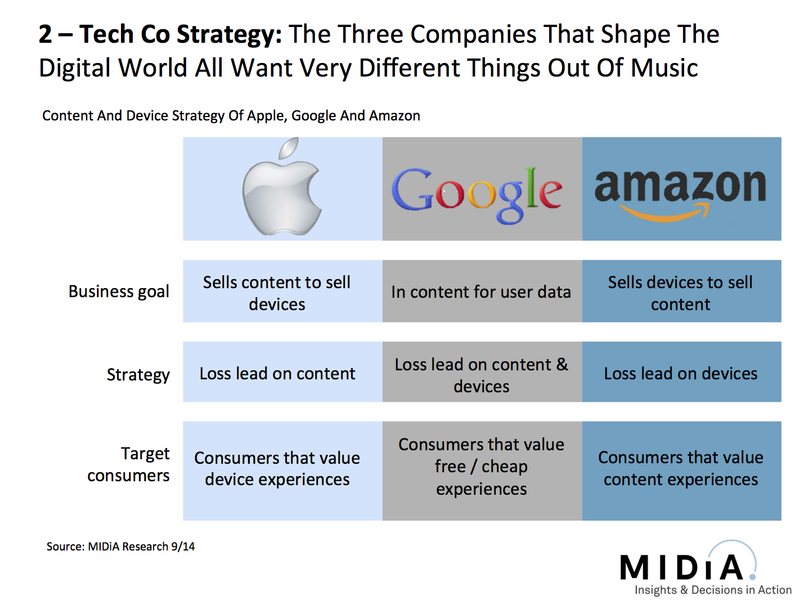 While the on-demand Access Services are focused on immersive discovery experiences for the engaged music aficionado, Listen Services are aimed at the mainstream music fan that does not have the time nor appetite for searching out what to play from a catalogue of 30 million tracks. 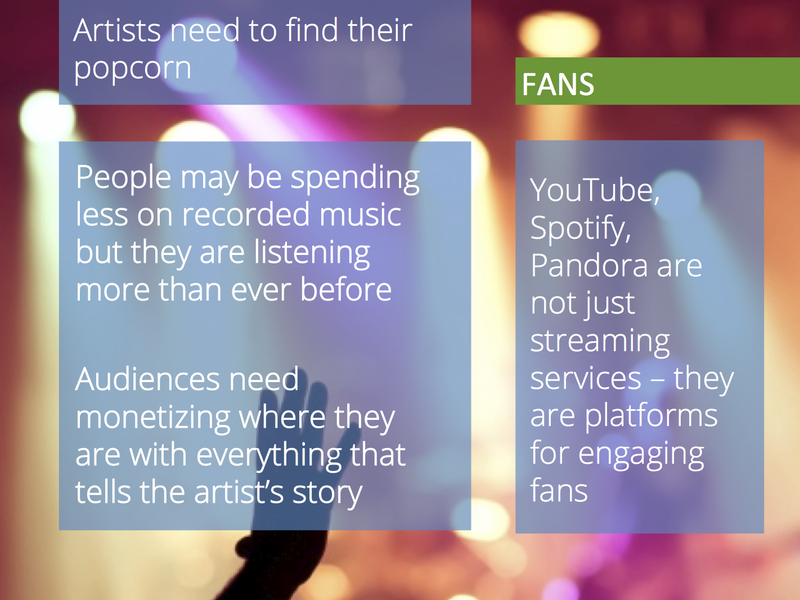 Listen Services, and their addressable audience, are a key priority for the music industry as it is becoming increasingly clear that Access Services, while fantastic at monetizing the top tier of fans, are not the right fit for the mainstream. To date the main focus for this segment has been ad supported personalized radio from the likes of Pandora and Slacker. 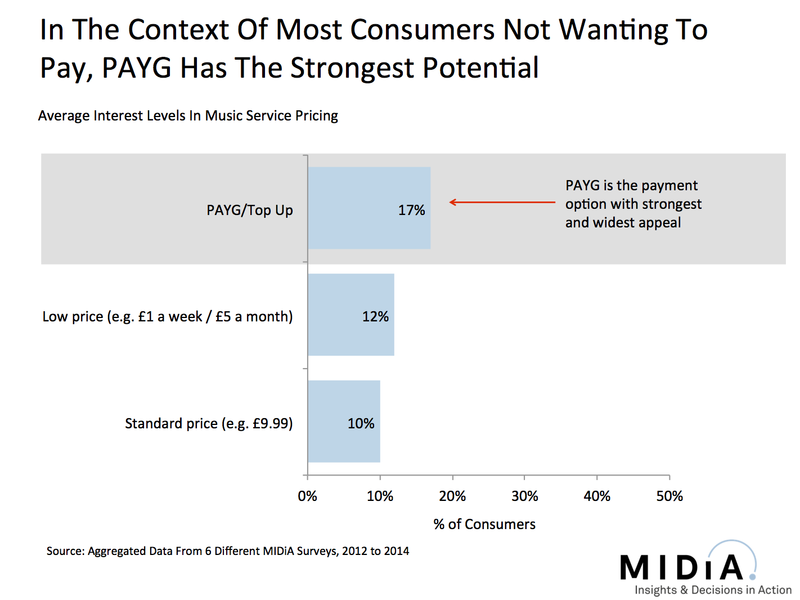 New entrants have started trying to drive digital spending from these consumers with cheap subscriptions, players like MusicQubed, Bloom.fm, Blinkbox Music and Nokia Mix Radio (interestingly there is a distinctly European company bias in this sector). 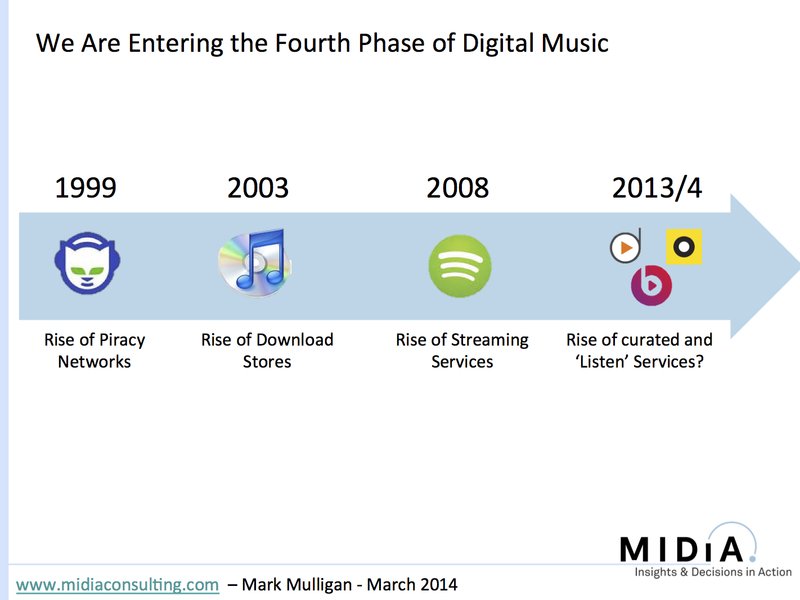 MusicQubed has released some figures to illustrate how this emerging segment is developing. 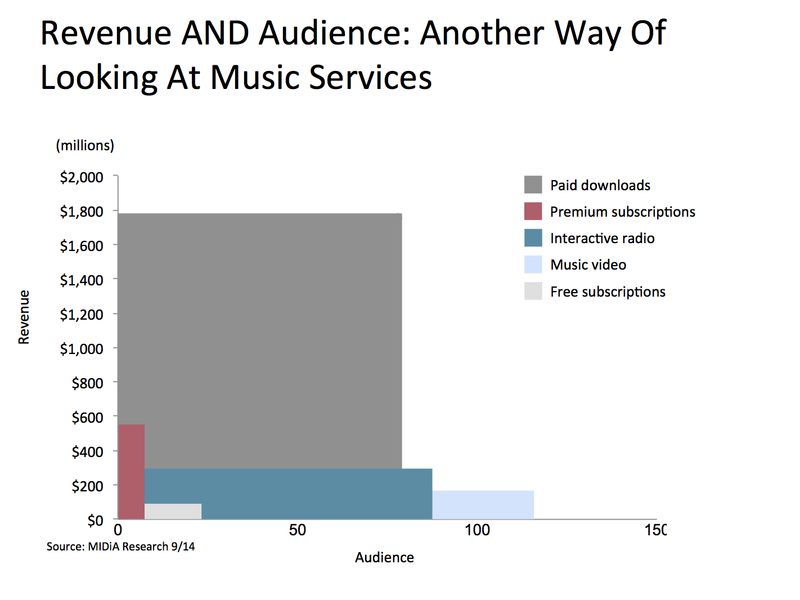 While MusicQubed is a long way yet from challenging Spotify in terms of total users and paying subscribers, the numbers do hint at a validation of this too easily neglected consumer segment. Of course everything starts small and it is worth remembering that a year after launch (i.e. by end August 2009) Spotify only had in the region of 100,000 paying subscribers. 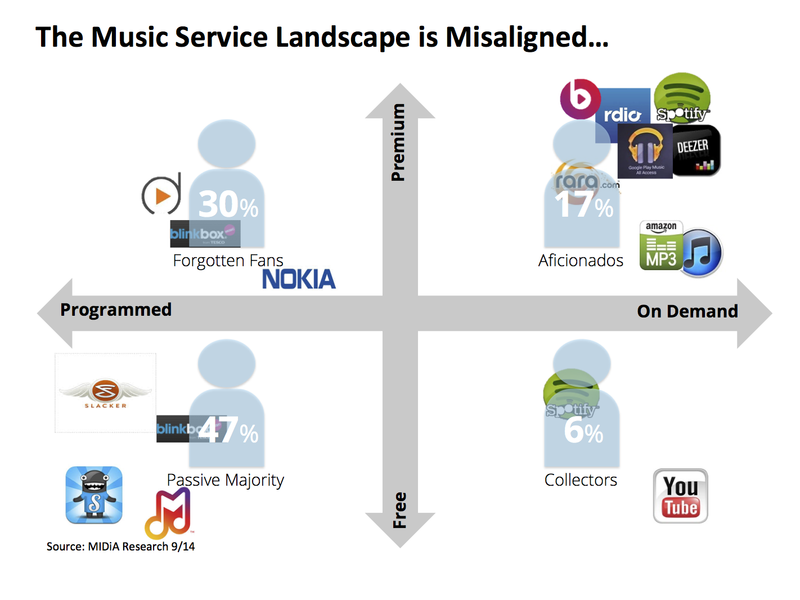 Will Listen Services Define the Next Phase of Digital Music? 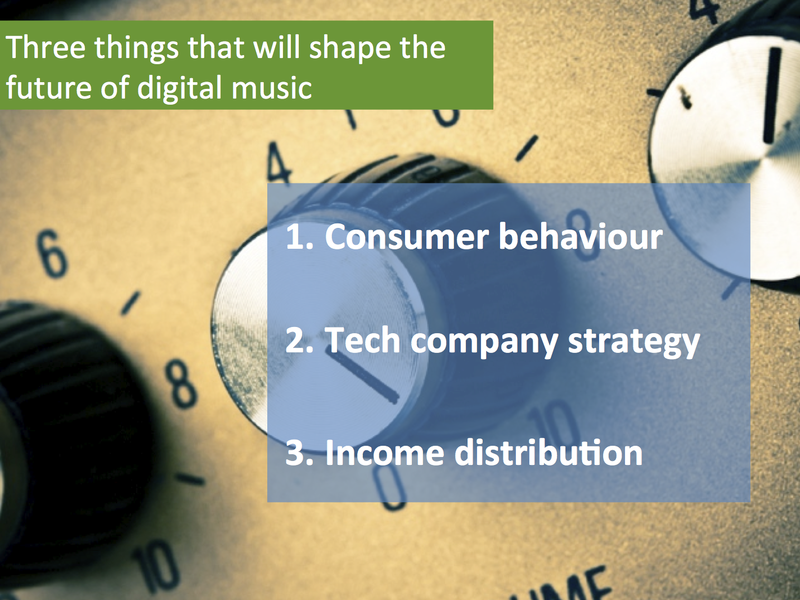 Once we have another 12 months or so of market activity we should be in a position to make a more definitive conclusion on which service, or services, will emerge as the defining reference point for the next era of digital music. Listen Services, affordable subscriptions and curation-centred services are only just getting going, but they will be key to long term sustainability. As subscriptions eat into the spending of the most valuable download buyers, it is clear that a ‘digital plan B’ is required. This new generation of services are part of that plan.